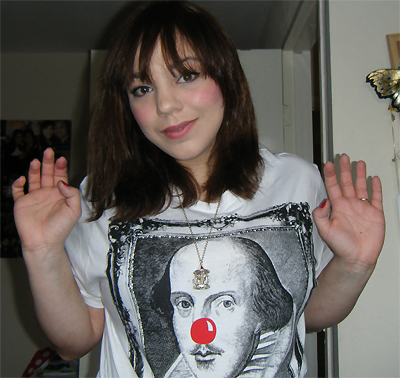 So in honour of Comic Relief, my friend Stephie and I are doing a sponsored silence today (and we usually talk a LOT) and we will spend the next 12 hours being absolutely silent and communicating through miming gestures (barring our seminars as we have to talk during those!). So far we've raised £70, which I think is pretty good since our target is £100, but it's kind of worrying how many people don't want us to talk all day! 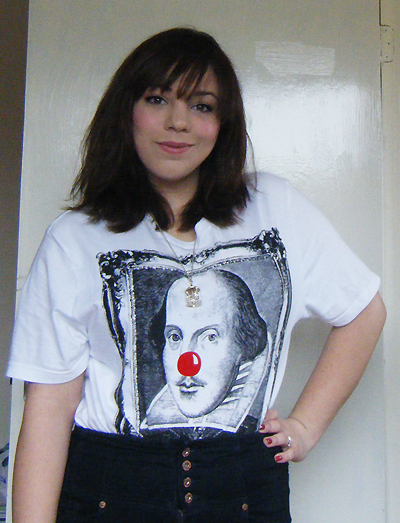 Anyhoo, if you are interested the link is http://my.rednoseday.com/mimingitup, although there are probably a lot of funnier things out there you could donate towards! Did you get a Comic Relief T-shirt? I do like this one, although the Beatles one from the last Comic Relief was pretty good too!